Sodium metabisulfite is an antioxidant preservative that is used in cosmetics and personal care products to extend the shelf-life of products. It also functions as a hair-waving/straightening agent. Sodium metabisulfite, also known as sodium pyrosulfite, is an inorganic compound with the chemical formula Na2S2O5. Sodium metabisulfite can be prepared by evaporating a solution of sodium bisulfite saturated with sulfur dioxide. It is a white crystalline or powder solid with a slight sulfur odor. When mixed with water, sodium metabisulfite releases sulfur dioxide, a pungent, unpleasant smelling gas that can also cause breathing difficulties in some people. For this reason, the use of sodium metabisulfite is becoming less popular. In addition to use in the cosmetic industry, sodium metabisulfite functions as a food preservative with the code E223. It is also commonly used to stabilize wine or beer. When added to these beverages, the sulfite compounds release sulfur dioxide gas, which prevents oxidation and also inhibits the growth of yeasts and fungi. Additionally, sodium metabisulfite is used in the medical industry, in the oil and gas industry, and various other industries for different purposes. 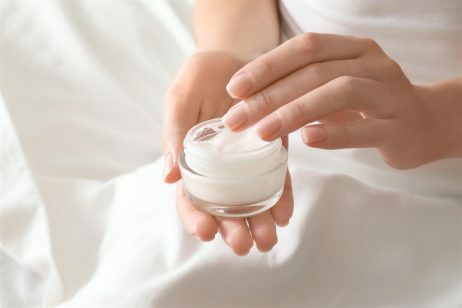 In cosmetics and personal care products, sodium metabisulfite functions as an antioxidant preservative and a hair-waving/straightening agent. As an antioxidant preservative, sodium metabisulfite works by protecting the other ingredients in a formulation from oxidation, which is the loss of electrons. For example, when products are exposed to air, oxygen from the air is reduced, gaining electrons from ingredients such as fats and oils in the formulation. This is why sodium sulfite can be referred to as a reducing agent; it donates a hydrogen atom to the oxygen in order to protect the other ingredients. Oxidation results in rancidity, color changes, viscosity changes, and deterioration of active ingredients in finished products. Adding an antioxidant preservative like sodium metabisulfite will make the product less susceptible to degradation when exposed to environmental elements. In addition to use as an antioxidant preservative, sodium metabisulfite functions as a hair-waving/straightening agent. It is often used in combination with sodium sulfite and sodium sulfate in products used to straighten the hair and in permanent waves. Other hair care products that use sodium sulfite include hair bleaches, hair dyes, colors and tints. The United States Food and Drug Administration (FDA) includes sodium metabisulfite on its list of substances considered Generally Recognized As Safe (GRAS) for use as chemical preservatives in food. It is not to be used in foods recognized as sources of vitamin B1, or on raw fruits and vegetables. Sodium metabisulfite must be clearly labeled on the food packaging because some people are sensitive to sulfites. The safety of sodium metabisulfite has been assessed by the Cosmetic Ingredient Review (CIR) Expert Panel. It was noted that the highly charged nature of this ingredient results in relatively low dermal penetration. After evaluating the scientific data, the CIR Expert Panel concluded that sodium metabisulfite was safe as used in cosmetics and personal care products. Despite the approval of sodium metabisulfite by the CIR Expert Panel, it should be noted that a significant number of people are allergic to the group of ingredients known as sulfites, which includes sodium metabisulfite. Asthmatics and people with allergies to aspirin are at an elevated risk for this type of reaction to sulfites. Sodium metabisulfite can also be an irritant to the skin, eyes, and respiratory tract. 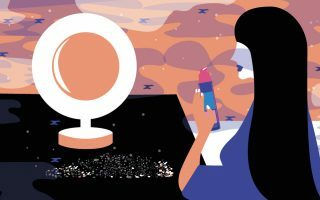 With the low level of sodium metabisulfite used in cosmetics and personal care products, however, it poses little threat to a person’s health.